Yogathon hosted by lululemon- On Saturday, June 5th, lululemon is hosting a 12 Hour “Yogathon” in Honor of Nation Cancer Survivor’s Day at The Street in Chestnut Hill to benefit two organizations devoted to sharing the health benefits of yoga. There are various different classes to choose from, so if this interests you and if you’re around on June 5th, all you need to do to register is make a donation of any amount to bodhi & mind yoga, which offers free one-on-one yoga and meditation practice to women battling breast cancer, and Triyoga Boston, a non-profit organization offering therapeutic yoga classes, using the Yogathon Eventbrite page. 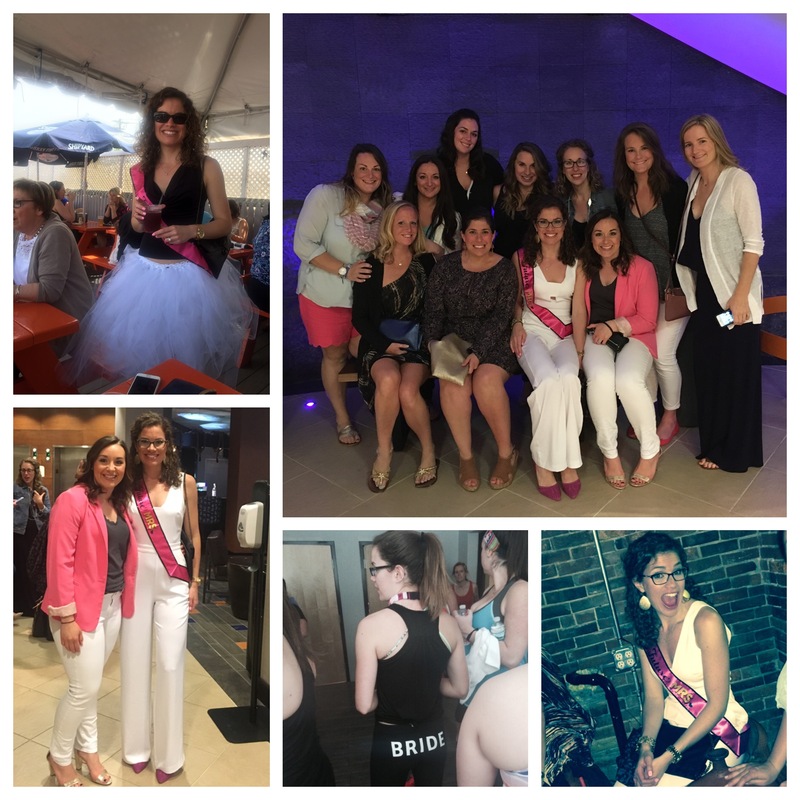 Thankful for great friends– If you follow me on social media, I’m sure you know that I had my bachelorette party last weekend. I will do a full recap on it, but for now I’ll just say that I felt SO special, thankful and grateful for having so many wonderful friends in my life. They planned the most amazing weekend, filled with lots of my favorite things and I ended the weekend feeling so humbled by everything everyone did for me. 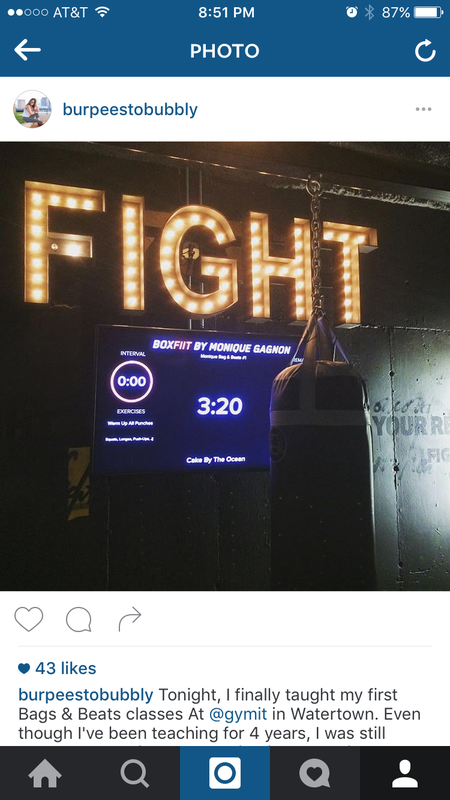 Bags & Beats @ GymIt- Earlier this week, I taught my first classes at GymIt in Watertown as a result of completing my BoxFIIT certification. I was pretty nervous going into the classes: new gym, new crowd, new class format, new app… after 4 years of mostly teaching at the same gyms to the same crowds, this totally put me out of my comfort zone, but you know what? I think I kinda rocked it! I had big shoes to fill, but I think members were happy with the classes I taught so I’m hoping to grow them over time. If you’re interested in checking it out, I teach on Tuesdays at 5:30 and 6:30pm and the classes are Bags & Beats so we use the heavy bags and do punching combos to the beat of the music mixed with non-boxing exercises. It’s a fun class and Tuesday reminded me that it’s so important to get out of our comfort zone and try new things because sometimes that’s exactly what you need to ignite a new fire within. Embracing the weather & season- Yesterday I decided to take a rest day. It’s been a long and busy week and I feel like I’m still catching up on sleep/getting back to normal after my bachelorette weekend, so I decided to take a rest day yesterday. I knew I needed this because after my run on Wednesday, I felt abnormally sore and tired. I set my alarm yesterday morning to get up and go for a walk before work, but when my alarm went off I realized I would benefit more from sleep. 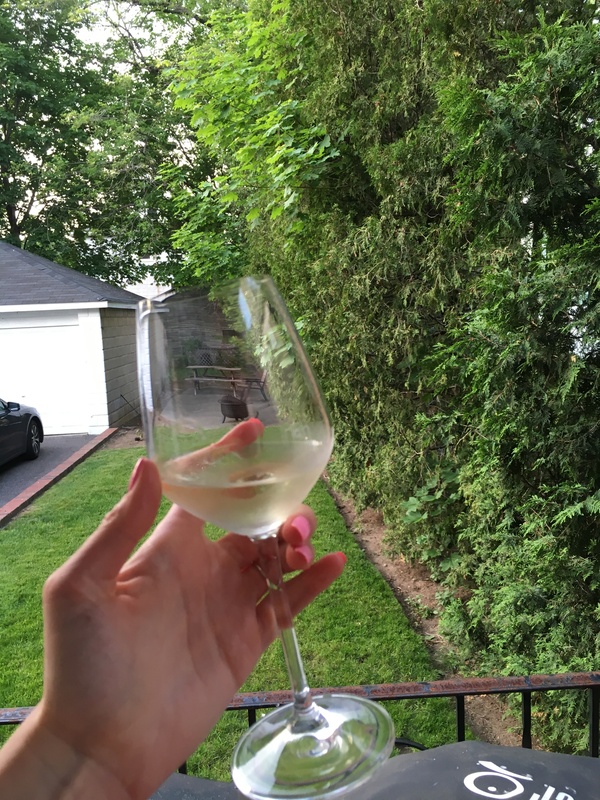 Listening to our bodies is so important, and somethign I admit I still have to work on, but I was proud of myself yesterday for listening to my body and resting (and enjoying vino after work). New Workout Plan- With our wedding coming up (38 days from today, to be exact! ), I decided that I wanted to spend some time focusing on me when it comes to workouts. Lately I’ve been teaching a lot and have had a lot of other things going on so my own workouts have fallen a bit by the wayside; I still workout 5-6 days a week, but they aren’t as structured or formatted as I’d like them to be in order to see changes I’d like to see. With that said, I reached out to my girl Athena to have her create a month long upper-body focused workout plan for me for the month leading up to my wedding. I am by no means trying to lose weight, but rather I just would like to tone up my upper body and back and see what kinds of changes I can make when I consistently follow a plan. 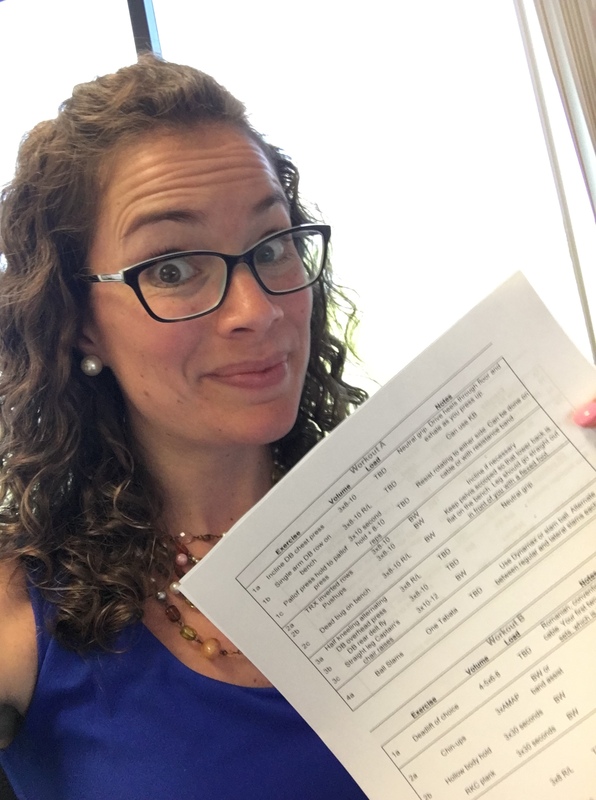 She sent me the workout plan the other day and upon first glance it looks great and I can’t wait to start- sometimes just having a new plan to follow is exactly what you need to get excited about something again! Questions for you: How has your week been? When is the last time you got out of your comfort zone? Do you like to follow structured workout plans? How are you embracing the weather? you’re right, it’s so important to listen to our bodies, really feel it out what it is you need be it rest or a run or sunshine. So looking forward to this warm weather and time on the beach! Totally! And when we are busy sometimes it’s hard to listen, but it’s so important. Hope you enjoyed time on the beach! Love the picture of you with the printed out program! aw thanks! I was so excited!